Sugar Republic is a Pop Up Museum for Sweet Lovers. 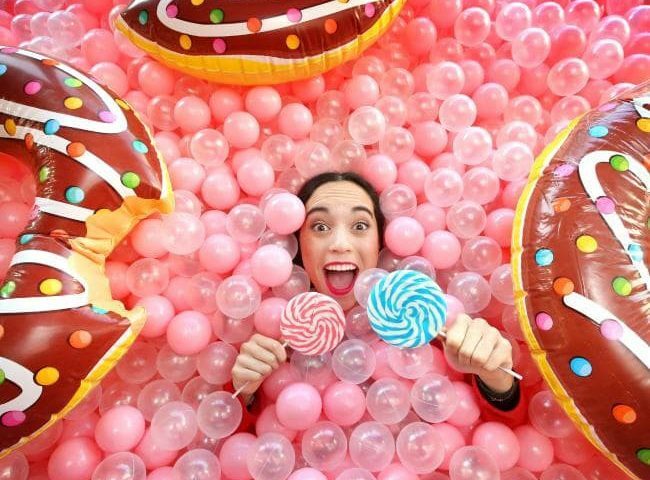 In 2019 they are in partnership with Myer to bring a new, bigger Sugar Republic experience. It’s Australia’s ‘must see’ exhibition for anyone who ever hit a sugar high, slammed a TimTam or jumped for joy at the sound of a Mr. Whippy van. Sugar Republic is a truly unique experience. Located on the 6th floor of Myer Melbourne, it is aimed at grown-ups but there’s no age restriction as long as you love sugar! From 1-28 February.